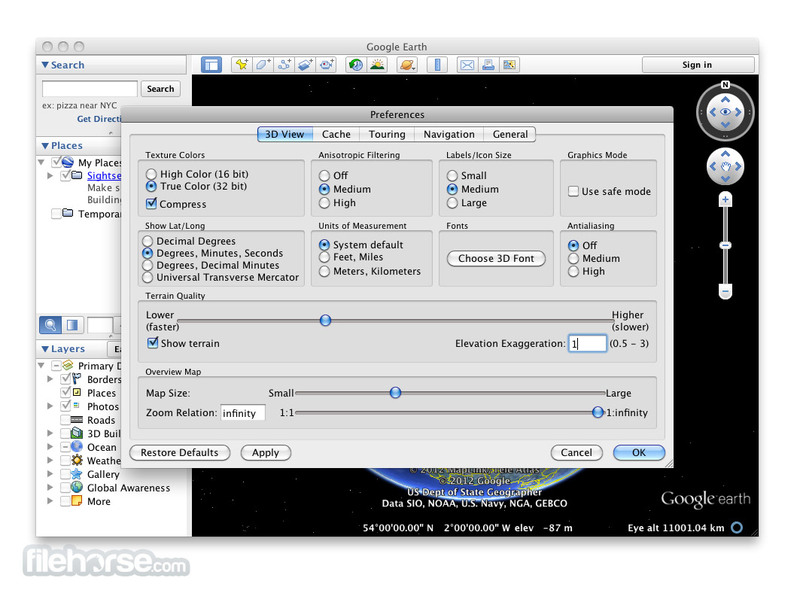 Google Earth Pro for Mac puts a planet's worth of imagery and other geographic information right on your desktop. View exotic locales like Maui and Paris, as well as points of interest such as local restaurants, hospitals, and schools. Google Earth combines satellite imagery, maps, and the power of Google Search to put the world's geographic information at your fingertips. 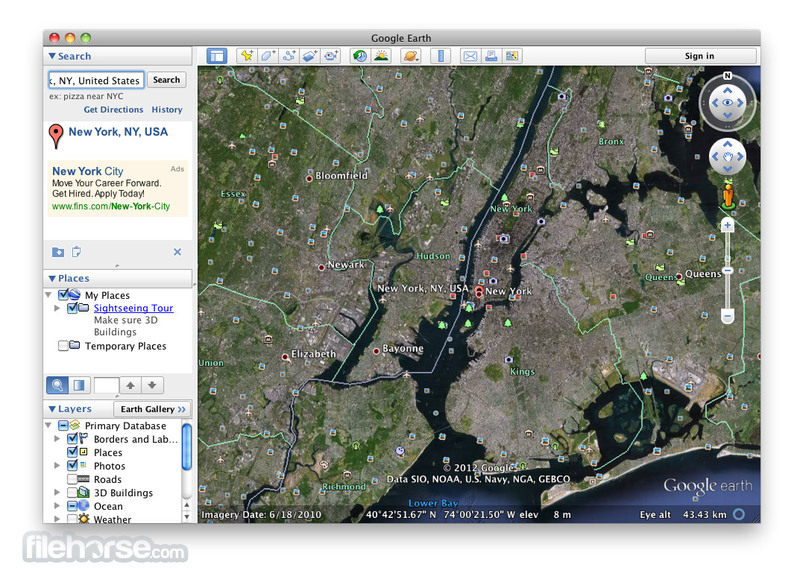 With Google Earth for Mac you can fly from space to your neighborhood--just type in an address and zoom right in, search for schools, parks, restaurants, and hotels. Get driving directions, tilt and rotate the view to see 3D terrain and buildings, save and share your searches and favorites and even add your own annotations. From discovering shipwrecks on the ocean floor to zooming into 3D cities around the world, you can explore an expansive library of tours, videos, and imagery that have been created by Google Earth Pro for Mac and supporting partners. Take flight over entire metropolitan areas in 3D. See 3D trees in parks, neighborhoods, and forests. Travel back in time with historical imagery. 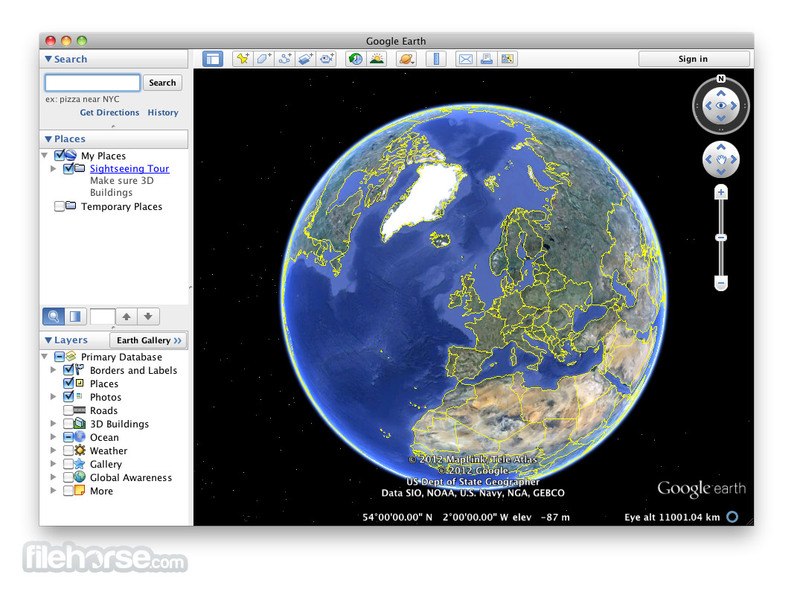 Dive to new depths with Ocean in Google Earth for Mac tours. 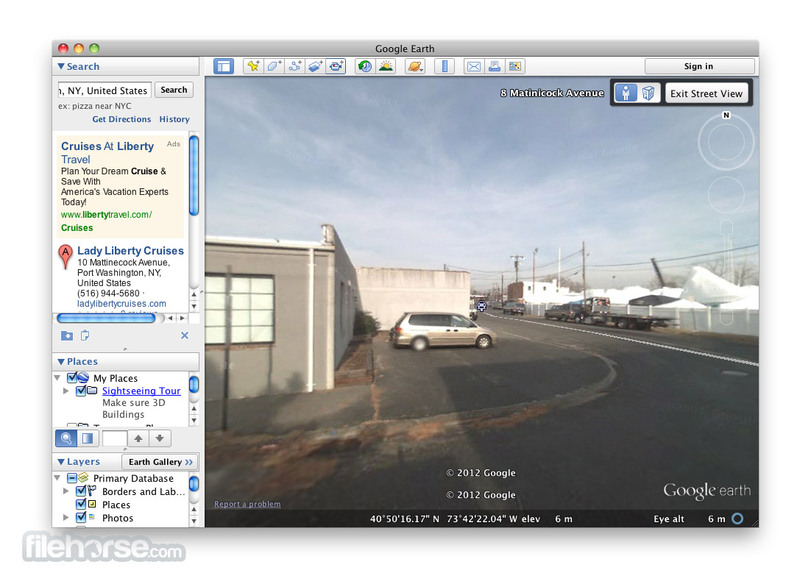 Explore 3D tours of buildings, cities and famous landmarks. Explore a new planet and view images from NASA. Discover distant galaxies, constellations and more. Learn about the Moon and follow Apollo missions. Learn about the US presidents and tour their birthplaces. Take narrated tours about the impacts of climate change. 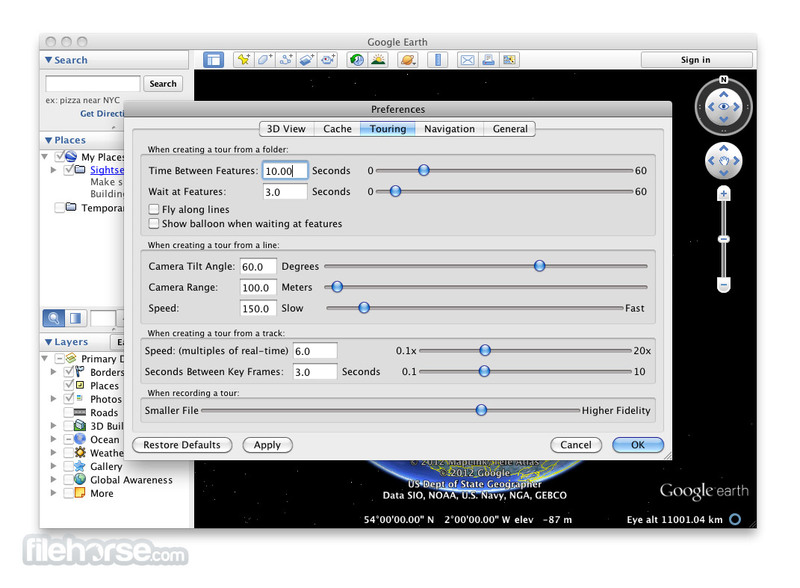 See how people are using Google Earth for Mac to change their world. Browse these amazing images or fly to them in space. Discover exciting places shared by global trendsetters. Take a virtual walk around natural and cultural landmarks. Build your own galaxy for your environment.